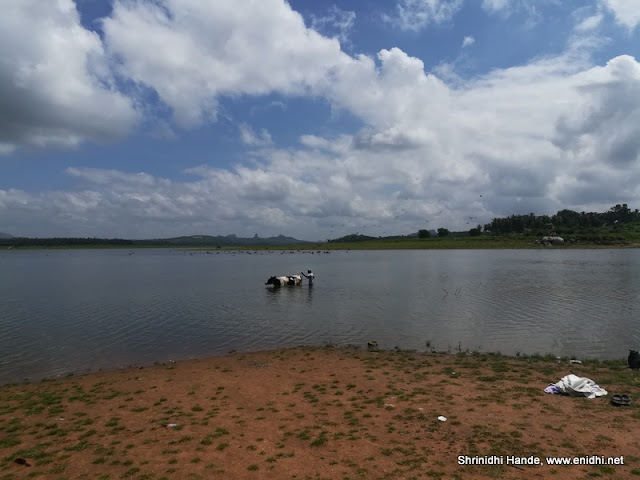 Kanva is a small reservoir near Bangalore (some 65 kms). 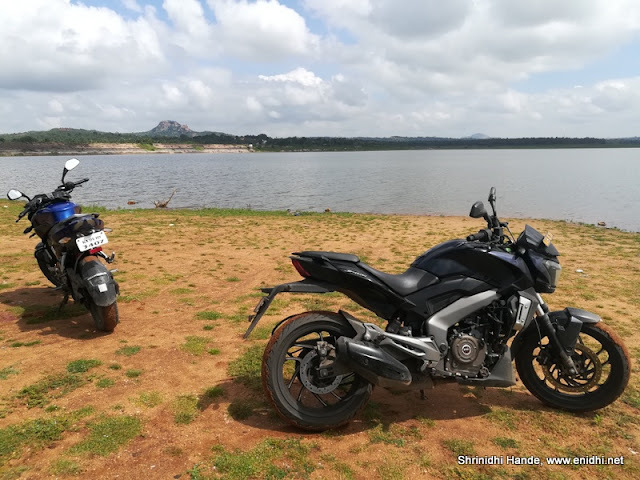 It is 8kms off the Bangalore-Mysore road. One can take a deviation and explore this, if there's an extra hour to spare. I'd been there in April, reservoir had bare minimum water then. Went there again last weekend, expecting it to be fully filled with water. But I was kind of disappointed, as water level was still negligible. Nevertheless, Kanva Dam can be a good meeting point- vehicles can be driven close to water and can take nice photos during sunrise time. I was expecting the road on the dam to be open, but it wasn't.